After leaving Tannadice in 1992, Paatelainen's playing career took him around the United Kingdom, from Aberdeen to Bolton, Wolves and then Hibs. After a short spell with French side Strasboug, he returned to Easter Road where he combined his playing duties with coaching the youths. 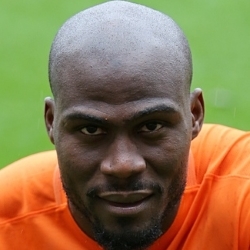 In 2003 he became player/assistant manager at St Johnstone, and a year later took up the same position at St Mirren before retiring as a player in 2005. In August 2005 he was given his first managerial role, taking over at Cowdenbeath, where he guided the Fife side to their first league title in 67 years. In October 2006, he resigned to to become manager of Finnish side TPS where he took them to third place, but was soon tempted back to Scotland for the managers position at his old club Hibs in January 2008. After two top six finishes at Easter Road, he left the job by mutual consent at the end of May and after a year out of the game he had a brief but successful spell as Kilmarnock manager, winning the manager of the year award for the 2010/11 season, even though he had left Rugby Park in March to become manager of the Finnish International side. 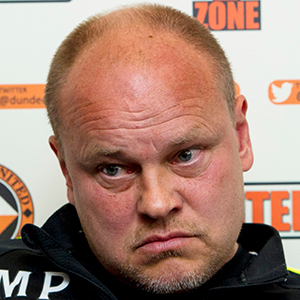 Mixu spent four years as Finland manager before stepping down in the summer of 2015, and four months later he returned to Tannadice to become Head Coach as the team fell to the bottom of the Premiership table. After a difficult start, it looked like the Finn was beginning to turn things around as the team fought back from a 13 point gap to within five points of their nearest rivals. However, with games quickly disappearing, his side lost vital points and were officially relegated with three matches left. Paatelainen was sacked the next day as the club faced up to their first season outside of the top division for the first time in 21 years.